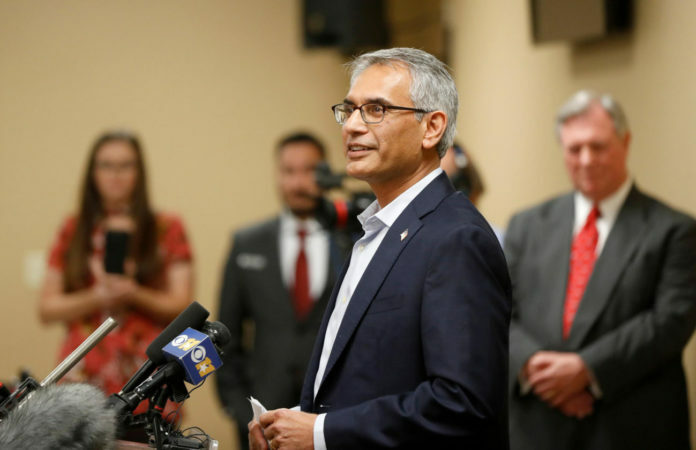 DALLAS — A man is offering a $500 reward to anyone who can provide him with the names of the 49 people who voted last week to remove Tarrant County GOP vice chairman Shahid Shafi from his position. George Rice, 36, of McAllen is a member of the Hidalgo County Young Republicans. He said he plans to make the list public so people know what their representatives believe. Thursday’s vote took place after some precinct chairs and local Republicans pushed for Shafi’s removal on the basis of his Muslim faith. The widely watched vote ended 139-49 in favor of retaining him as vice chairman. Rice said he was surprised at how many people voted to remove Shafi. He said the leaders of the campaign against Shafi are radicals and outliers and that the outrage against the “49ers” — a nickname for those who voted to remove Shafi — is greater than any support for them. Shafi, a trauma surgeon from Southlake, was appointed vice chairman by Tarrant County party chairman Darl Easton in July. The push to oust him began soon after, with precinct chairs accusing him of believing in Shariah law and of being tied to terrorist-affiliated groups. Shafi denied those allegations.